A warm fire surrounded by friends and family perhaps, or a house full of cats and dogs that really makes your heart content. Maybe it’s not even a home for people and instead one for something that might keep us alive. Whatever it is, it’s very different to Kim Kardashian, Queen Elizabeth II, Bill Gates and the world’s other assortment of rich, powerful people. To those fine folks, home means security and keeping us prying plebs away from their territory. How they go about ensuring privacy is varied, but their homes are all some of the most insanely protected buildings on the planet and not the type anyone could just walk up to without supervision. Gated communities that keep track of everyone inside (and out), front doorways synced up to your DNA, fortified houses painstakingly designed to fend off a zombie outbreak and even homes where inhabitants aren’t allowed access to every part of the building. If there’s ever a zombie outbreak, everyone will suddenly find themselves running to Robert Konieczny and KWK Promes. The Polish architects are thinking ahead on the off chance the world turns into Resident Evil, and they’ve built quite the fortress in London. Known simply as “The Safe House”, this zombie bunker looks like a luxury villa by day, but it can easily turn into a watertight central core that would prove impenetrable to the dribbling hoards that want to devour your flesh. Also, the place has a drawbridge that leads to the roof of another building. There’s a swimming pool inside that building, so you can even do the backstroke as zombies claw desperately at the fortified windows. This one is a little different, if only because it’s not isolated from the public. Safe House is just an ordinary place (yeah, right), and the high-tech security will only kick in if worst case scenarios like zombie outbreaks, natural disasters or meteor strikes happen. Granted, no people actually live inside the Svalbard Global Seed Vault on the Norwegian island of Spitsbergen. That doesn’t stop the place from being one of the most heavily-fortified buildings around though, and it is home to something that could feasibly keep millions alive in the event of a global food crisis. Around 4.5 million seed samples (approx 500 seeds per bag) are housed in the facility. The reason human beings don’t find the place habitable is due to the low temperature. Seed samples are stored at -18 °C, and oxygen levels are also kept low to delay the ageing process for samples. A dedicated workforce who maintain the facility and work in the building’s warehouse do stay nearby though, so technically this one counts as a home base for humans too. The Arctic archipelago location, borderline-hidden entrance, tight security measures and wild weather surrounding the facility make it nearly impossible to infiltrate undetected. Billionaire Ira Rennert made his fortune as an investor and businessman. He’s the proud owner of the Fair Field Estate, a massive complex situated in the plush New York Hamptons. This place doesn’t mess around: it’s said to be worth a whopping $200 million, making it one of the most expensive homes in the United States. Rennert houses around $500 million worth of rare art in the many buildings scattered across his grounds on the New York countryside. It won’t surprise anyone then to learn that he’s keen to ensure no unwanted visitors take a wander around his estate, even if they’re not looking to rob the place. Look towards the bottom of the picture attached and you’ll see a wall surrounding the perimeter. The estate’s only entrance point is a giant security gate that is constantly manned. Other than that, there are more security cameras than most museums, and all the windows on the entire 21-bedroom complex are bulletproof. See the top of that building peeking through the trees in Medina, Washington? That’s the home of Microsoft founder Bill Gates, otherwise known as one of the most wealthy men in the world. Dubbed “Xanadu 2.0” (after the fictional home in Citizen Kane), the house cost $63 million to build and took seven years to construct. Visitors are given a special pin upon arrival that allows them to customise room temperature and lighting as they stroll around the building. It’s personalised to every individual’s tastes depending on where they’re standing. That’s insane, and it’s just the beginning. A complicated security system means those inside and around Bill’s home are alerted to intruders who are up to a mile away. Wow, talk about playing safe. When he’s not keeping people at arm’s length, Gates is able to look out on the Washington lakes, and the foliage surrounding his home is deliberately placed to keep paparazzi away. From the air, the wonderfully titled “Maximum Security Mansion” in Evergreen, Colorado looks like something from Beauty & The Beast rather than a real house. Bizarrely literal name or not though, the place is real, and it’s one of the most heavily-protected buildings one could imagine. The mansion’s security system is worth $6 million alone, and it patrols the 32 acres of land around the house as well as the central building; interestingly, anyone with an iPhone can log into the building’s security network and have a look around the CCTV system. All you’d need is permission from the mansion’s security team. It’s a pretty weird idea, especially considering how security-conscious the complex appears to be. By far the most impressive piece of security is a world-class thermal imaging suite that can isolate and trace individual fingerprints within 20 minutes. That means anyone who does decide to roam around unauthorised would struggle to get out of sight before being headhunted. The Kardashians, bless them, are some of the most talked about people in the world today. For that very reason, they have a close-knit community of their own that’s rivalling Fort Knox when it comes to on site high-level security. Nobody is cleared to enter the property until they’ve had a thorough frisking by security, and multiple hidden cameras around the courtyards and inside the house itself track every move. Hopefully, they’re not in the bathrooms, but (given how tight security is everywhere else) they probably are. As if monitoring your every move wasn’t enough, Kim Kardashian has a personal fleet of vehicles that drive and chaperone her when out and about. Here’s the fun part: those cars act as decoys so that nobody, including paparazzi and crazed fans, can keep tabs on which one she’s actually in. Bodyguards working on the security team are also background checked beyond belief and undergo a rigorous training regime to ready them for Kimmie and family. Ah, but can the Kardashian Estate survive an earthquake? That’s something Al Corbi, a renowned security expert and former senior designer for the U.S. Department of Justice, was mindful of when building the perfect home for his family in Hollywood Hills. Reinforced concrete foundations are buried a full 30 feet in the ground, so there’s no reason to fear California’s quakes. The home, which spans 2,500 square feet, also has a panic room and sensors that can spot threats/tresspassers up to half a mile away. That’s impressive, Al, but it doesn’t quite match the full mile Bill Gates can see from his living room. Seriously though, who cares when your home boasts biometric recognition software (no keys here) and has an underground bunker stocked with enough food and drinks to keep everyone alive for six whole months. Finally, the Corbi Family Mansion can release thick fog that confuses intruders. The White House was always going to feature on a list looking at the most heavily-protected homes in the world. Whilst the place is a popular destination for tourists hoping to catch a glimpse of the US President, it’s not exactly an open house situation. Special (armed) agents, there at all times to make sure nothing goes wrong, rank amongst 1,300 staff members, and even food brought into the building is scanned off-premises on the off chance it poses a threat. Restricted air space is monitored 24/7, every one of the 147 windows on the building is made of bulletproof glass and an entire SWAT team converge on the roof any time the President flies in or out by private helicopter. Six storeys below ground, a special operations core, dubbed the President’s “Emergency Operations Center”, also enables a hasty getaway should any crisis arise. Don’t be fooled into thinking The White House is just a friendly tourist attraction. Beneath the surface, it’s one of the most controlled environments you could visit. Look closely at the picture above and you may just spot Queen Elizabeth II hanging up some new curtains. Only joking, obviously. The Queen is much more likely to have one of her hundreds-strong workforce at Buckingham Palace do that sort of thing for her. Besides, with 775 rooms and over 700 windows, it’d take a while. 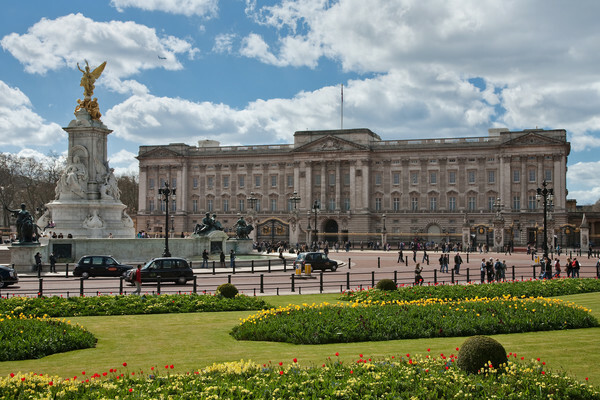 One of London’s most famous landmarks, Buckingham Palace is protected by the usual array of security cameras, guards and panic rooms. Each of these rooms, tactically placed around the building, sport 18-inch thick steel walls designed to keep everything out. In addition to the regular police patrols around the palace perimeter, British Army guards (both on horse and on foot) operate a ringing system to protect against watchmen falling asleep at their posts; at regular intervals, guards will call the next one along and remind them to stay alert. So protected is the Ryongsong Residence, otherwise known as Residence No. 55, in North Korea that even getting a clear image of the place is a challenge. Though Google Earth will have to do for now, even aerial pics of the compound show how vast and isolated from the public eye it is. North Korean ruler Kim Jong Un ensured his home was surrounded by an electric fence, a platoon of armed guards and a sizeable mine field to deter unwanted visitors. On top of that, underground tunnels connect the place to other important (and equally as private) houses in the Northern region of the country; for example, one such tunnel leads to Chanyoung House. Sturdy iron rods with lead-coated concrete are specifically inserted into each wall so the house can deflect a nuclear bomb blast. Think about that for a second, then realise all this comes before a widespread security network of cameras and alarms are even mentioned.